According to research, in January 2018, users conducted more than 1 Billion voice searches. Additionally, it is estimated by the year 2020, approximately 30% of all online searches will be conducted through voice search. Evidently, voice search is all geared up to create a transformation in the digital landscape in the near future. 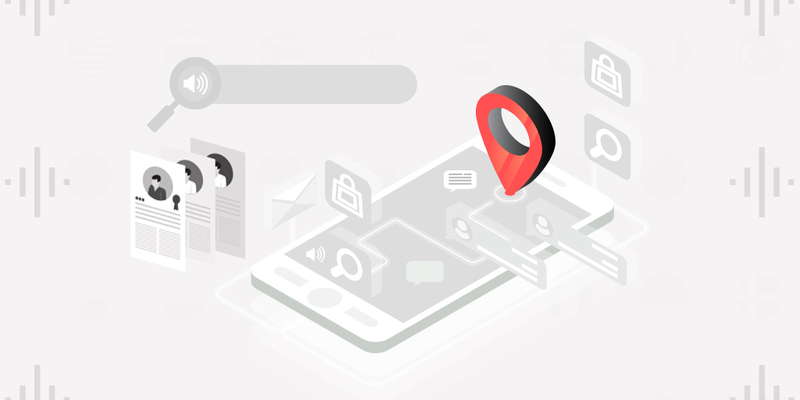 With more users leaning towards the convenience of using voice search, you have to reflect on how this will influence mobile websites. Including the name of your targeted region in the content and metadata. Tagging all images and videos with geographic area names. 41% of the users say that through voice searches their queries feel more interactive than a one-sided dialogue. Users are increasingly growing accustomed to this type of discourse and it is likely to affect how well your website performs in voice search. It is important to figure out what are the questions that your audience is most likely to ask. Once you figure that out, it’s time to place answers to those question in your content in a way that it makes sense. Additionally, also include them in your metatag, it is one of the easiest ways to implement in your mobile website. Mention the hours of operation of your store. Place live chat or support portal. Enable the option to make reservation or appointment. Provide information about current sales or any other prevailing offer. Featured snippets are used by search engines to show relevant answers to the concerned question. If the search query is a good match, the most relevant website will be shown on top of the page. In the voice search, it can help you to stay ahead of the others. As when users ask voice assistant a question, it is going to show the answer right away, rather than offering suggestions, offering convenience and better browsing experience. Customers are taking control over how they choose to engage with the web using their smartphones. Therefore, the design of your web application needs to change with the evolving preferences of the customers in order to stay relevant in this competitive marketplace. Presently, users are looking for website that responds to their questions more effectively and naturally via voice search. You as a website owner need to find a way to cater their expectation in the best way possible.